In the basement of New Design High School on Manhattan’s Lower East Side, in a drab concrete room with poor lighting and low ceilings, seven teenage girls are sitting on yoga mats. Absent are the Lululemon outfits, the scented candles and ambiguously soothing music that are synonymous with yoga classes these days. Instead, the girls here wear jeans (that they will tug at during various poses) and hoodie sweatshirts. They talk while they wait for class to start. One girl ticks off her fingers the number of friends – four – who have transferred or been asked to leave school, not even a full semester into their freshman year. The small academic school uses the process of design to meet its students needs, prompt inquiry and prepare students for college. Today, teacher Kate Johnson tells the class, they are going to focus on backbends to open hearts and raise energy — to look back on where they’ve been and what they’ve learned. For the next 49 minutes the girls will focus on themselves and leave their academic and social worries behind. Almost. As six of them move into the first pose, one girl gets up and leaves the room, wiping away tears as she goes. The yoga class is run by Bent On Learning, a nonprofit that brings yoga into New York City public schools. Founded in 2001 by three yoga instructors, Bent On Learning was awarded a SHAPE 9/11 Grant in 2002 to teach yoga in 10 public schools located near Ground Zero to help students there manage post-traumatic stress following the Sept. 11 terrorist attacks. In the 15 years since, Bent On Learning has seen yoga in the classroom grow beyond those 10 schools. They are now bringing the practice to 3,500 students around the city and find the demand for classes growing faster than they can keep up. Program manager Kristin Lalka estimates that there are around 40 schools on the waiting list. And Bent on Learning is just one of many programs bringing yoga to schools. 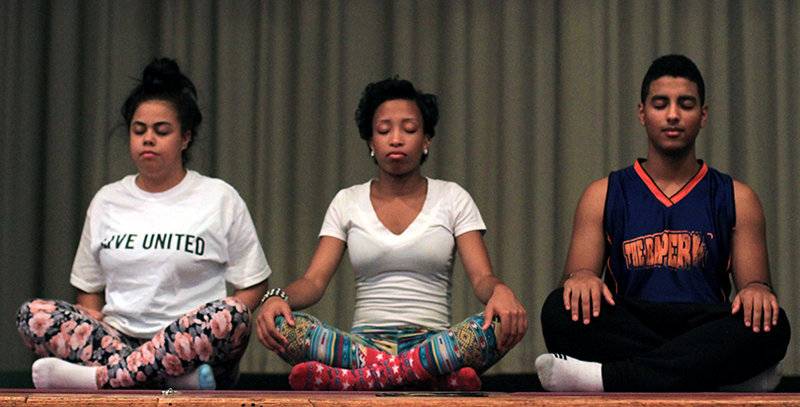 Outside of New York City, the phenomenon of yoga in schools crisscrosses the country. 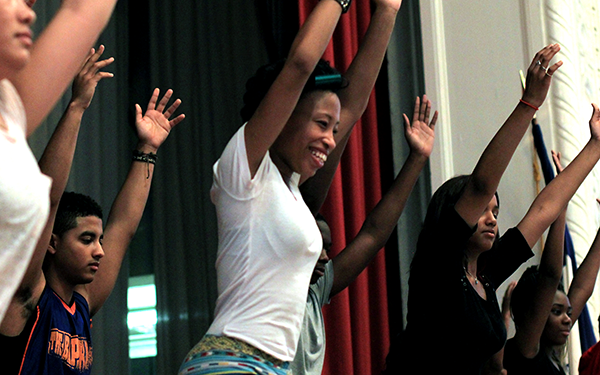 In Detroit, Michigan 15 public schools have yoga classes offered through Danielle Karmonos’ Work It Out, a nonprofit that provides yoga and nutrition classes to students in low-income neighborhoods. In Litchfield, Minnesota, one teacher uses yoga techniques to calm and focus her students who are primarily classified with emotional behavior disorder. In Encinitas, California, yoga is widely taught in the classroom, though its implementation prompted a 2012 lawsuit alleging that it was promoting religion. Yoga, though it can trace its spiritual roots back to India more than 5,000 years ago, has become more of a fitness and health practice in the West. A California appeals court ruled that yoga did not violate religious freedom. So what does yoga promote in schools? The effects of yoga on students is still being studied, but it has been shown to reduce stress, improve focus and school performance, foster creativity, and improve self-esteem and body image. All outcomes that create healthy students eager to do well in school. 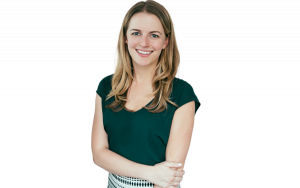 Marissa Lipovsky trained through Bent On Learning and teaches at Northside Charter in Brooklyn. Yoga was introduced to the school in the 2014-15 school year, and she sees it helping her students’ minds as well as their bodies. Lipovsky’s aim with her students is to exercise both in her yoga class, discussing emotional qualities such as empathy and forgiveness, and how the different poses can facilitate them. And it’s working. Boys are often more reluctant to engage in the soul searching aspects of the class than the girls are, she acknowledged. This recognition seems to be helping away from the yoga mat as well. In the first year that yoga was introduced to Northside Charter, Lipovsky said, the school saw a significant drop in suspensions and expulsions. Back in Johnson’s yoga class at New Design High School, the girl who left the room in tears returns to the class and sits quietly on her mat. “There’s just a lot going on right now,” she says when Johnson asks if she’s OK. A few deep breaths later, the girl joins her classmates for a pose, and completes the rest of the class. For the final pose of the class, Johnson has her students move into a wheel (backbend). “I haven’t done this since I was like, five,” one girl giggles while upside down. “Do I just stay here?” another asks. “Take a few breaths,” Johnson replies. She does. After class ends, Delia, a 14-year-old freshman, relates that her favorite pose is “the star pose.” Johnson looks confused, so Delia demonstrates by facing the wall and standing with her feet spread, turning her right foot out, and stretching her right arm down to her foot, left arm up to the ceiling, all while keeping her legs straight and body facing the wall. “Side triangle,” Johnson clarifies, naming one of the essential poses used as a hip opener and core strengthener, with the added benefit of relieving stress. Delia shrugs and continues talking — the name isn’t important. What is important to her is how yoga helped her overcome the challenges she faced while transitioning into high school. Sixteen-year-old Destiny agrees. She’s a junior and takes supplemental classes after school at the Borough of Manhattan Community College to get college-ready.